Seat Stoppers- These are different than the ones shown in the picture. They have only 1 hole, and 1 little plastic tab that fits in one of the other holes in the frame, and they only use 1 screw. These items come in a pair, and attach to the underside of the seat, towards the front. The thin end of the wedge goes towards the rear of the frame, and the thick end faces the front of the frame, just behind the main support board that attaches the arms. 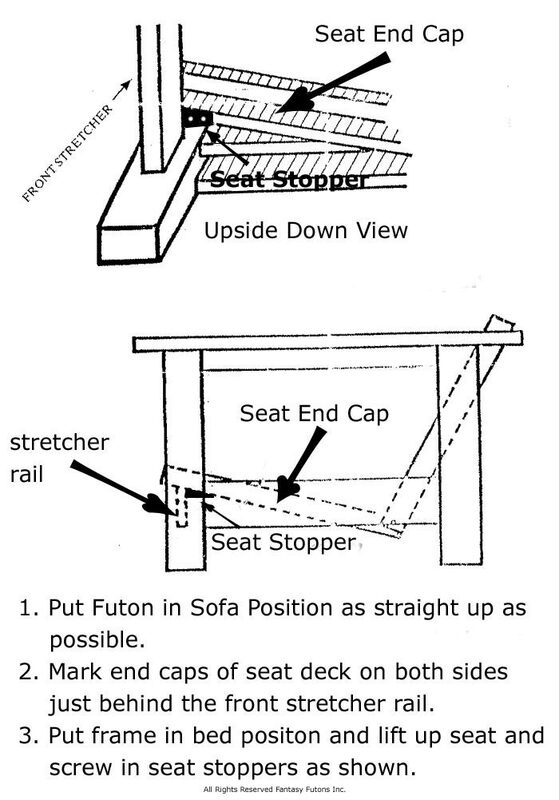 They keep the futon frame in the upright or sofa position. With more than one set, you can convert your futon frame into an upright position, and a more reclined position. 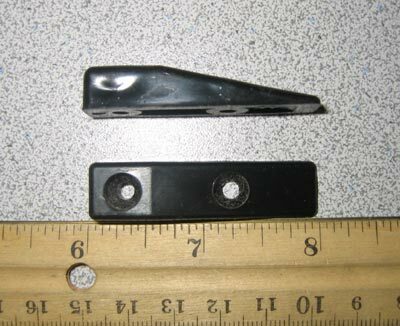 These attach with 1 screws which you can order as well.